The only official language in the Russian Federation is Russian and I would suspect that most Americans would think of Russia as a monolingual country, similar to the way many Americans see the U.S., despite the dramatic demographic changes in the U.S. that have made it multilingual in many locations. The reality about Russia’s language situation is quite different, as I have been experiencing in a visit to Pyatigorsk, located in the North Caucasus, in Southern Russia, between the Black Sea and the Caspian Sea. I am here to establish a partnership between my university, VCU, and Pyatigorsk State Linguistic University (PSLU). As you walk down the street or ride the street car here, you hear almost exclusively Russian. But go into a local eatery or bar, especially one specializing in local cuisine, such as Ossetian pies (kind of like stuffed pizzas) or Schashlik (kebabs), and you’re likely to see groups sitting together speaking one of the 30 to 40 indigenous languages of the North Caucusus. These include the Dagestanian language family, represented in the Northeast and a variety of languages, including Abkhaz, Abaza, Circassian, and Adyghe, in the Northwest. The language diversity is extraordinary, considering the small territory in question (see map above). The diversity continues south of the Caucasus. Georgia’s last census (2002) counted over 120 languages. The three major peoples in South Caucasia – the Georgians, Armenians and Azerbaijanis, all speak different languages that are mutually unintelligible. At the end of a meeting I had this afternoon with students at PSLU, students having a native language other than Russian were asked to raise their hands. Out of a group of perhaps 40 students, 6 or 7 indicated that, although they were all native-born Russian citizens, they did not speak Russian as their first language. In talking to PSLU professors after my meeting with students, they acknowledged that there is considerable linguistic and cultural diversity among their students, who are mostly drawn from the North Caucasus region. All three professors were themselves ethnic Russian, but indicated that they felt distinct from ethnic Russians in the North and, in fact, were treated differently when they traveled to St. Petersburg or Moscow. They jokingly spoke of having been effected by the regional culture here, becoming more vivacious and emotional, as they claimed was typically of the inhabitants of the region. It’s been wonderful to see Russia in a positive light, given the political tension currently between our countries. As an individual American I have had nothing but positive experiences here, having been warmly welcomed at the university and elsewhere. It’s also been nice to see a different side of a region that we hear about only in terms of conflict and terrorism, with Chechnya nearby. How do you figure out who you are? Obviously a complex process with input from a lot of different directions – family, school, friends, religious faith, meditation, work, online roles, and more – with which goes into the mix to create our persona different for each individual . For a lot of people what they perceive as their home culture can have a powerful influence on shaping how they see themselves. This may be the case even if the connection to that culture is remote and tenuous. Since the Boston Marathon bombing there was been a lot of speculation about the relationship of the Tsarnaev brothers, the suspected bombers, to their home land of Chechnya. In a recent article in The Economist, the Brothers’ difficulty in accommodating to life in the U.S. (more so for the older of the two), may have lead them to seek “mental refuge” in their home culture (and possibly religion). With the exception of a recent visit by the older brother to the region, most of that contact with the culture appears to have come through Web sites and online chats. According to the article, “The internet and social networks that served as a channel created an illusion of engagement without experience or memory. The brothers never fought in the Chechen wars or lived in Chechnya for any length of time. Yet their lives and their sensibilities seem to have collided with its violent and tragic history.” The target they selected (the United States), apparently at least in some part out of loyalty to their cultural heritage, seems strangely at odds with the Chechen patriots on the home ground. 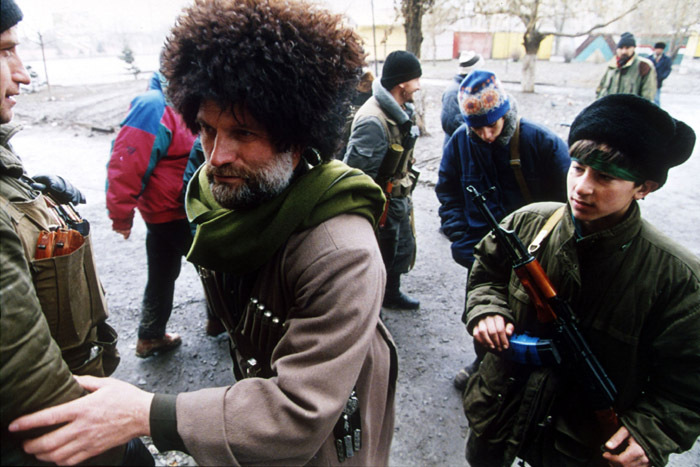 The latter fought the perceived (and real) repressor of Chechen rights and freedoms: Russia. Could it be that the Internet today serves as an amplifier and, at times, a distorter of a culture’s views and values? We don’t as yet know much about the motivation of the accused Boston bombers, the Tsarnaev brothers, but it does seem certain that they had no connection to the Czech Republic, the EU member country in central Europe, formed from the breakup of Czechoslovakia in 1993, along with Slovakia. 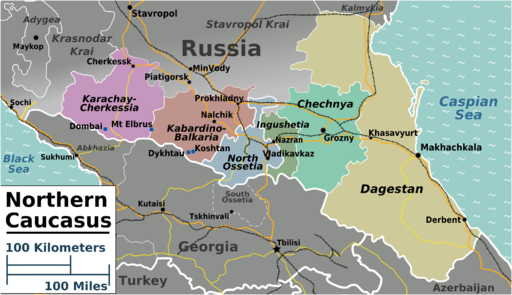 Chechens are an ethnic group from the North Caucasus region in Russia. 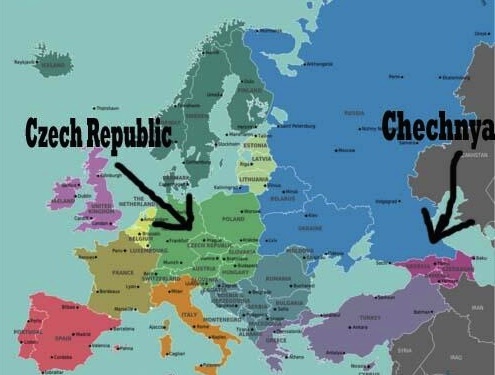 Given Americans’ notorious ignorance of geography, it may come as no surprise that the Chechen brothers were quickly identified as “Czechs”. There is a long list of tweets, Facebook messages and even news reports that attack the “Czech” terrorists and call for a reprisal attack against “Czechoslovakia”. The Czech ambassador had to issue a clarification about who Czechs were. There’s speculation that the Brothers were Muslim extremists, with some evidence that the older brother’s views had in fact recently been moving in that direction. Ironically, the Czechs are one of the least religious peoples in the world, with the largest faith, Roman Catholicism, followed by just 10% of the population. There are many U.S, Americans with Czech roots and festivals celebrating Czech-American heritage. There are far fewer Chechens in the US., partly because of immigration quotas but also due to concerns since 9/11 about immigrants from Muslim countries where there are active extremist elements. Is it really a problem that Americans misidentified the cultural origins of the bombers? Many of those posting the misinformation didn’t think so, responding, when the error was pointed out, that it was all the same, after all, weren’t they all Slavs (another mistake). This is an indication of the lack of knowledge about the world outside the US, but it’s also an indicator of a more serious issue, the tendency to avoid nuanced views or to make fine distinctions. Blanket condemnations, a disregard for facts, and a refusal to think critically have led many Americans to be uniformed citizens, with sometimes disastrous consequences when they cast votes or help decide what should be taught in schools. Maybe we shouldn’t place all the blame on the willfully ignorant and conspiracy theorists (the “Czech” bombers must be connected to the explosion in the Texas fertilizer factory, as there are is a sizable Czech-American community there), our politicians have become adept at, as Paul Krugman puts it, “how to lie with statistics”, purposely distorting reality to fit their political aims. 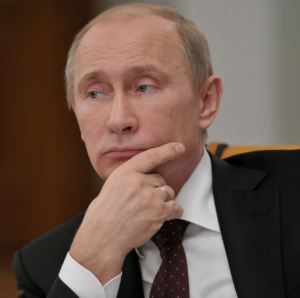 Reports abound today on crackdowns on non-governmental organizations (NGO’s) in Russia. This follows the law passed in July that requires NGO’s involved in political activities to register as “foreign agents”, an expression in Russian which is more pejorative than in English. This is in line with a worrying trend in Russia towards greater nationalism and growing suspicion of non-Russian ideas and people. 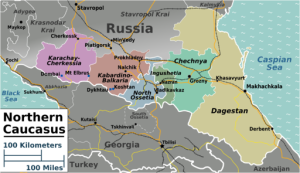 The organizations being raided include a number of foreign-based but also Russian human rights groups that monitor elections and report abuses of minority groups, in particular those in the North Caucasus. It’s clear that President Putin not only wants to eliminate interference from foreign sources, he also wants to ensure free hand in dealing with troublesome groups asserting more rights. Many see echoes of the Soviet era in the raids. As the Guardian writes, “Vladimir Putin’s crackdown on NGOs is return to rule by fear”. It’s not just the NGO’s that are being intimidated but also ordinary Russian who are getting the clear message that actions such as investigations of police brutality, of corrupt officials, or of the unfair treatment of minority groups are unwelcome and may result in actions such as tax review and repeated harassment. This also comes at a time when the Russian Orthodox Church receives substantial official support while all other religions (including Protestant churches) are discouraged if not persecuted. The options for group membership and activities in Russia seem to be getting more and more restricted. Apparently, men in Cossack uniforms are proliferating in Russia. According to the article, “Regional leaders are granting them an increasing role in law enforcement, in some cases explicitly asking them to stem an influx of ethnic minorities, mainly Muslims from the Caucasus, into territory long dominated by Orthodox Slavs.” The newly reinvigorated Cossacks in the Stavropol area (where Tolstoy’s story is set) are running up against the demographic dynamics of the area, namely that Muslims from Caucasian ethnic minorities (Dagastani and Chechens) are increasing, while numbers of ethnic Russians are decreasing. 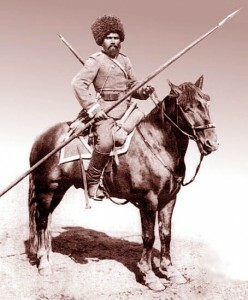 The Cossacks are not universally welcomed in their law enforcement role, as, in contrast to the police, they have no official status and are therefore not bound by the same legal restraints the regular police force faces.